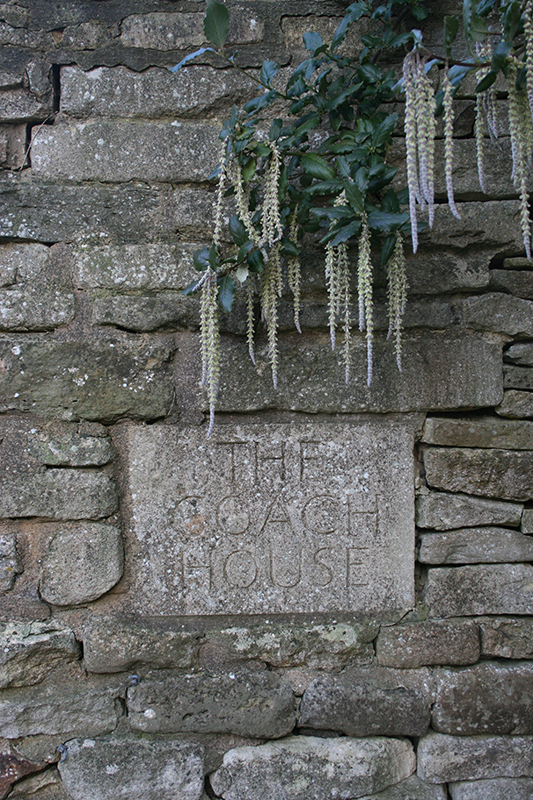 Together with my husband, Nicholas, I started creating the garden at the Coach House in 1989, having acquired the slightly daunting prospect of a house that was in the process of being converted from stables with half an acre of rough ground. However, in 1993, we were able to buy an additional acre and extend the garden to the boundaries that exist today. Having no views to countryside beyond, we set about creating a garden of rooms with internal vistas and axes, to provide all year round interest and that all important element of surprise. Structure was key and still remains the unifying component of the garden today. In the following years I extended my plant knowledge and understanding of garden design by attending various short courses at Waterperry and Pershore and visiting as many gardens as time allowed. I was also a Garden Guide at Highgrove for 8 years. We started to open the garden for the NGS in 2012 and in the same year began to run Specialist Plant Sales in the garden, in aid of charity, with some of the leading nurseries in the country coming to sell their interesting, and expertly grown, plants. From 2013, the house and garden also became the venue for a Garden School with a wide range of visiting lecturers, including such luminaries as Fergus Garrett, Robin Lane Fox and Roy Lancaster. These are now well established and we have recently added a series of evening lectures to our annual events when we tap into the vast knowledge and expertise of some of our nurserymen who come and talk on various types and species of garden worthy plants. We are also delighted to be associated with a series of Gardening Master Classes, run by Noel Kingsbury and Annie Guilfoyle in collaboration with Gardens Illustrated magazine. A successful day on Pruning was held in 2017, another on Container Planting in 2018 and a Garden Design Workshop is planned for 2019.